Since "Gojira" was first created by Tomoyuki Tanaka in 1954. A lot has been written in many languages along with general comments about this particuar "Kaiju". The definition of a "Kaiju" is: "a Japanese word that means "strange creature," but often is translated in English as "monster", or "giant monster". Specifically it is used to refer to a genre of tokusatsu entertainment". Question: If Kaiju really means "strange creature" are we really using it right in the English language, because shouldn't either a Irish banshee or Greek harpie also qualify within the true definition of the word? Just a thought dear reader. Over the years there have also been articles on "The Godzilla Franchise" and what should be a part of it and not a part of it. Some of these writings attempt to clear up controversy as with the very popular "SciFi Japan" explanation of the Time Travel scenario. Which is an intricate part of the December 4, 1991 Toho Hesei Era film "Gojira vs. Kingu Gidora (Godzilla vs King Ghidorah)". That is not the purpose of this article. Except for relating the early facts about the character of "King Kong". This article is based upon my own observations from 1956 to 2014. I admit they will be partly my own opinions as in the aforementioned article from "Sci-Fi Japan" was there's.The purpose though is to relate the history of "Gojira/Godzilla" as I experienced it starting in 1956 with the preimere of the motion picture "Godzilla, King of the Monsters" and observing similar reconstructions with other Toho films of the period. To look at the Americanization of "Gojira" one must first look at the simiar "Japanization" of "King Kong". I know my readers are very familar with the Merian C. Cooper/Ernest B. Schoedsack 1933 motion picture with the excellent stop motion work of the team of Willis O'Brien and Michael Delgado. I also take it for granted that my reader is also familar with the quickly put together sequel released the same year "Son of Kong". A film that to date has only made a profit of $133,000 dollars, received negative reviews and has a "Rotten Tomatoe" rating of 33 percent. One could blame sript writer Ruth Rose, who wrote the original film's screenplay, based uon her comment "if you can't make it bigger, make it funnier", but she was reflecting on the budget differences between the first film $672,000 as compared to the second's $269,000 both in 1933 dollars. 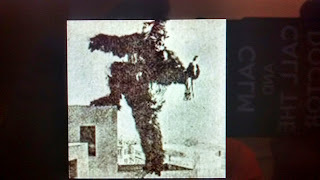 Most of my readers believe the first Japanese "King Kong"`appeared in the 1962 film "Kingu Kongu Tai Gojira(King Kong vs Godzilla) and they would all be wrong! The original Japanese suitmation "King Kong" was also made in 1933 as were the two RKO Studio's films.The film was made by Shochiku Studios who received authorization to use the character of "King Kong" not from Cooper, Schoedsack or O'Brien, but RKO who legally owned it. Actor Isamu Yamaguchi has the distinction of being the first live action actor to play "King Kong". The film opened October 5, 1933 two months BEFORE "The Son of Kong" premiered on December 22, 1933. However, this was not the only Japanese version of the giant gorilla to be made. On March 18, 1938 Zensho Cinema Studios produced, without authorization, "King Kong Appears in Edo". Edo was the original name for Tokyo and the film's period is set in feudal Japan. The original "King Kong" premiered in Japan on September 14, 1933. James Rolfe of the website "Cinemassacre" listed both Japanese films the top lost films of all time just above Tod Browning's "London After Midnight". The first re-release of the 1933 "King Kong" in the United States was 1938 and that started the censorship of scenes. That original American re-release was followed in this country with others in 1942, 1946, 1952 and 1956. 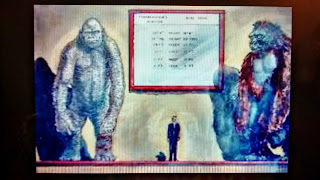 Each time the movie was released more was trimmed out of it and when it first showed on television all similarity to the original vision was completely lost.I first saw "King Kong" at the Dome Theater in Ocean Park, California in 1952 with 1949's "Mighty Joe Young". In 1969 a 16mm print of the motion picture was discovered uncut. The following year Janus Films released the restored 1933 "King Kong". At what point "Kong the Eighth Wonder of the World" become an American Icon I could not locate. The fact that until 1969 nobody other than those alive in 1933 had even seen the complete motion picture might have also contributed to the legend and delay upon reaching iconic status. Initially in 1933 David L. Selzick wanted to have Willis O'Brien and his crew nominated for a Special Academy Award in visual effects, but the Academy of Motion Picture Arts and Sciences declined. It took untill 1975 for "King Kong" to be named one of the top 50 best American films by the American Film Institute. This was the film's first official acknowledgement. In 1991 the Library of Congress deemed the film "culturally, historically and aesthetically significant" and selected it for perservation in the United States National Film Registry. In 1998 the American Film Institute ranked the 1933 "King Kong" number 43 of the 100 greatest films of all times 65 years after it came out. It should be noted that the Japanese were not trying to really turn King Kong into their own image, but both studio's made their films out of respect and love for the character. A love that most Japanese still feel and included in the 1950's one Tomoyuki Tanaka. Since the movie first appeared in 1954 the debate over the source of the title "Gojira" goes on. The most widely told origin is the story about a worker at Toho having that name. What is KNOWN fact is that the name is a contraction of two Japanese words: Gorira which means Gorilla and Kuijira which translates as Whale. So in short Tomoyuki Tanaka's "strange creature" was a Gorilla-Whale. This makes sense if you look at the two films Tanaka mentioned as his personal favorites at the time. The Gorilla is of course the above mentioned 1933 "King Kong" and the whale can be extrapolated from his view of the Rhedosaurus in Ray Harryhausen's "The Beast from 20,000 Fathoms". In 1998 Steve Ryfle author of "Japan's Favorite Mon-Star: The Unauthorized Biography of the Big G" wrote on page 23 that Kimi Honda the widow of Ishiro Honda suspected the worker always mentioned as the source of the film's name never existed saying "The backstage boys at Toho loved to joke around with tall stories". Of interest is that the title of this part of my article is the working title Tanaka used for the motion picture. The real background story for "Gojira" starts earlier in 1954 on Bikini Atoll which was part of the Marshall Island group and a test known as "Castle-Bravo". This was the code name for the first dry fuel hydrogen bomb which was detonated on March 1, 1954 with a recorded yield of 15 megatons of TNT. The problem here was the expected yield was to have been only 4 to 8 megatons and therefore "Castle-Bravo" became the most significant acknowledged "accidental radioactive contamination" ever caused by the United States. Fallout from the detonation, which had been intended by the United States to be a secret test, spread around the entire world. The heavest fallout fell on the residents of Rongelap and Utirik Atolls. The United States did not evacauate these islanders for three full days and they suffered massive radiation sickness. They were kept off their islands for three years, but when they were returned home once more. All where removed as the land was still contaminated beyond acceptable limits. Which brings me to the Japanese tuna fishing vessel 'Daigo Fukuryu Maru(Lucky Dragon Number Five)"and Tomoyuki Tanaka.The "Lucky Dragon #5" had passed solidly through the radioactive fallout from "Castle-Bravo" which effected the entire crew of 23 and their story interested Tanaka. At the time of the incident President Eisenhower's Press Secretary was told by Lewis Strauss the head of the Atomic Energy Commission that he believed the men on the "Lucky Dragon #5" were actually Soviet Spies watching the H-Bomb Test. 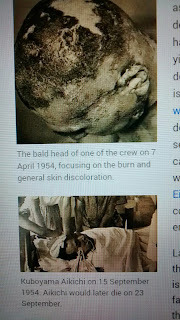 In the end the United States paid compensation to the Japanese Government of $15,300,000 and to each crewman, or their surving family members $5,550 in 1954 dollars which is equal to $48,700 in current 2015 dollars as the current rate of inflation is over 880 percent.It is obvious that the political situation on both sides of the Pacific Ocean was touchly and it was under this atmosphere that Tanaka found the Executive Board of Toho against a straight forward film treatment. Tanaka had recently seen 20th Century Fox's movie from 1951 "The Day the Earth Stood Still" and mentioned how they got around a movie about the second coming of Jesus Christ by using Science Fiction and suggested, according to a newspaper account I read in 1959, that Toho do the same. It would be another five years before Japan was ready for a serious film treatment about the tragedy. Kineto Shindo would write and direct the film and release it on December 12, 1959. On November 3, 1954 the Japanese public first saw Toho's "Gojira". There is no need for me to go into the details of the story revolving not around the title Kaiju, but Emiko Yamane and her inner battle over tradtional Japanese ways. As she had been promised as a child to Dr. Serizawa and discovered new found love with Coast Guardsmen Hideto Ogata.I presume my readers have watched at least once this great motion picture. The film's original budget was $900,000 and it grossed $2,250,000 from Japan and other Asian countries on its inital release. As with RKO Pictures reaction to the 1933 "King Kong". Toho studios was stunned by the unexpected popularity of this film and immediately, as had RKO before them, rushed out a sequel. "Gojira no Gyakushu (Counterattack of Godzilla)" premiered on April 24, 1955 five months after the first movie.The film made only $70,548 dollars and lost money. To be fair it was only shown in Japan by Toho while the other as with all Toho motion pictures had a wide Asian release. Toho Studios considered the character non-profitable. So "Gojira" was sheleved supposedly never to be used again as the studio prepared to go into Science Fiction and Horror stories instead of pure Kaiju by this group. I have read comments from people that the movie got good reviews, but it was the reaction of those first audiences to the movie's showing in Tokyo which decided the future, if only temporary, of "Gojira". In fact the first film that fit the transition from pure Kaiju was actually been filmed by Ishiro Honda starring both Momoko Kochi who had played Emiko Yamane in his 1954 film and Akira Tararada who played Hideto Ogata in "Gojira". The film would become controversial in Japan bringing a request, that the Toho Studio's complied with, of destroying all copies of the motion picture. The film's title was "Jujin Yuki Otoko(Mountain Snowman)". The story told in flashbacks tells of a meeting by a group of students and their teacher with a Japanese relative of the Abombinable Snowman, shown more as a human character than a true strange creature, because of some scenes in a remote village the Government stated Toho Studio's was giving the impression that mountain villagers were inbreeding with each other. Toho denied such a charge, but agreed to pull the picture. The original Japanese version runs 94 minutes and was released on August 14, 1955. The Americanized version starring John Carradine called "Half-Human" only runs 63 minutes and if you subtract all the scenes with American actors there really isn't much of a movie left. PART THREE: "GODZILLA, KING OF THE MONSTERS"
Let us cross the Pacific Ocean and enter Lloyd's America. To set the stage as to what was now about to happen to the 1954 motion picture. Let me give you the tone of my United States in 1955 at the time Toho made the decision to shelve "Gojira". To begin it had only been a year and half since the Korean War, actually a United Nations Police Action, ended. That war had started on June 25, 1950 less than five years after VJ Day (Victory over Japan) offically ended the Second World War and the country was finding itself once more involved in an Asian war. This closeness in time contributed in keeping the feeling of distrust for Nisei (2nd Generation Japanese Americans) alive for a lot of people. The idea of the internment camps for loyal Japanese Americans such as Manzanar. The fact that even out of those compounds came volunteers who fought and died in Europe were conveniently overlooked by a lot of people who had lost loved ones in both Wars. I have two neighbors in my seniors community. One who was stationed in the Navy at Pearl Harbor and another who is Hawaiian and lived on the island on December 7, 1941. Their personal feelings are still strong today 73 years later toward Japanese Americans. Add to this the political climate in the country. The Army-McCarthy Hearings were the previous year over alledged Communist Party members in the United States Army. You had the comments by Lewis Strauss over the alledged ties of the "Lucky Dragon #5" crew to the Soviet Union. In my schools I was still having daily drop and cover drills. Which I was being told would protect me from nuclear attack and certain portions of Los Angeles still held air raid warning tests as the sirens blared. On television Richard Carlson was playing Herbert Philbrick on the popuar "I Led Three Lives" based on Philbrick's book. The three lives were average American family man, member of the Communist Party and FBI undercover agent. The show would run from 1953 through 1956 the year "Godzilla, King of the Monsters" came out. At the movie theater you had Tyrone Power as an "American Guerrilla in the Phillipines", Robert Taylor in "Above and Beyond" about the dropping of the Atomic Bomb on Hiroshima, John Wayne in "Flying Leathernecks", Robert Mitchem in "Heaven Knows Mr. Allison", Richard Widmark in "The Halls of Montezuma" and somebody named Ronald Reagan and an actress named Nancy Davis in "Hellcats of the Navy". Just to name a few movies designed to remind American's of the Japanese and World War 2. On Saturday, April 28, 1956 my mother took 9 year old Lloyd to the Studio City Theater located in the San Fernando Valley area of Los Angeles. The movie I watched was entitled "Godzilla, King of the Monsters" and at the time most people believed this was just another American made monster on the loose film of the period, but set in Japan. Some of the other rampaging monster movies between 1954 and 1956 included "Monster from the Ocean Floor", "THEM! ", "It Came from Beneath the Sea", "Tarantula", "The Beast of Hollow Mountain", "The Phantom from 10,000 Leagues" and "The She Creature". So this new movie fit into the weekly output and no special distinction was made over it. 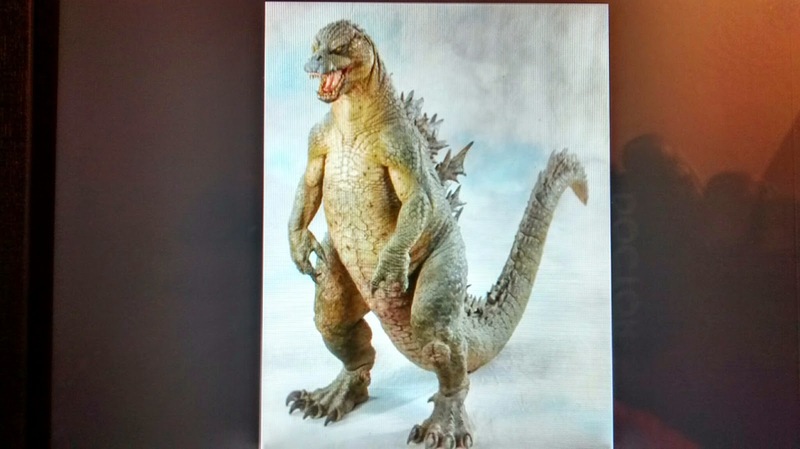 So how did this Americanized "Gojira" come about? Sometime between 1954 and 1955 movie goer Edmund Goldman went to a Westcoast Chinatown movie theater and saw a Japannese film entitled "Gojira". Goldman enjoyed the film and its message and contacted Toho Studios to see if he might purchase the United States rights. As it turned out he was able to obtain the non-Asian/Japan rights for $25,000 dollars. Edmund in turn sold those rights to Richard Kay who co-owned "Jewell Productions". A production company that beside "Godzilla, King of the Monsters" would only release three other films. Kay and his business partner Harold Ross approached publicity agent Joseph E. Levine. Levine owned a small company at the time called "Embassy Pictures". For $100,000 one sixth of the total budget Levine bought in to the idea of converting this Japanese film into an acceptable, Americanized, motion picture. Two years later in 1958 Joseph E. Levine would dub into English and release an Italian film entitled "Le fatiche di Erole (The Labors of Hercules) starring one time Mr. Universe Steve Reeves and create the "Sword and Sandal Craze" which turned Reeves into an International Star. The immediate problem facing these producers was the tone of "Gojira" as it clearly was anti-American and the title's "strange creature" was an allegorical figure for the Atomic Bombs dropped on Hiroshima and Nagasaki. Not the most acceptable storyline for 1950's America. As I mentioned with anti-Japanese feelings still strong at the time a straight dub of the film, to reach the most viewers, was out of the question. The film's well presented story was a hot button racial issue as the film presented the Japanese people as both heroic and "importantly" human. A fourth producer Terry Turner came on board and screenplay writer Al C. Ward joined the group. Along with director Terry O. Morse the decision was made to edit the film and add American scenes about a Reporter named Steve Martin. Instead of the harsh anti-American/Atomic Bomb movie from Tomoyuki Tanaka and Ishiro Honda. The new film would retell Martin's experiences as a witness to the destruction caused the city of Tokyo by a Jurassic Age Dinosaur awaken out of hibernation from unspecified Atomic Testing. The film would explain how the dinosaur's breath has been affected by the radiation and became a weapon of sorts capable of melting military trucks and exploding buildings. Kind of an after effect as happened in 1953 with "The Beast from 20,000 Fathoms" and its deadly blood. For the critical part of Steve Martin Canadian born actor Raymond William Stacey Burr was hired. He had previously appeared in 30 motion pictures, had roles in late 1940's radio and early 1950's televsion. After this film Raymond Burr would appear in six more motion pictures before getting the role of "Perry Mason". Also hired was cinematographer and film editor Guy Role. Role made the American scenes which were dominated by Burr appear to match the black and white of the original 1954 motion picture in texture and oversaw the seemless blending of the two films. "Godzilla, King of the Monsters" had an overall budget of $650,000 and made over $2 million dollas during its initial release in the United States alone. What is very interesting is the confusing original distribution arrangement. Each of the producers had the right to release the film under their own distribution company in different parts of the United States. Levine had the East Coast and used his "Embassy Pictures" name. "Jewell" released the film under the title of "Transworld Releasing Corportion" and for the logo Richard Kay superimposed its name over the actual Toho Studios Logo, On the West Coast where I saw it the film was originally distrubted by the "Godzilla Releasing Corporation". As to the name of the film "the King of the Monsters" tag line was Joseph E. Levine's idea. As to the name "Godzilla" most people believe it was a straight English translation of the name "Gojira". However, as I mentioned above there really was no such word and it was made from the Japanese words for Gorilla and Whale. According to Morse and Kay the name came about this way. The producers took the idea that the creature was the "God" of Ohto Island. Added the fact, at the time, that all dinosaurs were believed related to Lizards and went with Tanaka's idea of using the word Gorilla. So the producers ended up with: "God-Liz-Illa" which was changed to "Godzilla", because it sounded better. One of the comments I find amusing made by some members of my "Godzilla, King of the Monsters" Facebook page is how they're upset with the small amount of screen time for the title character in the new 2014 "Godzilla" from Legendary Pictures. What they either overlook, or do not know is that in 1954 out of the total running time of 98 minutes. "Gojira" is only seen for 18 minutes. Meaning the love triangle and other human interaction made up the remaining 80. Now consider the Americanized "Godzilla, King of the Monsters". The total running time is listed at 81 minutes. That immediately means 17 minutes of the original film was definately removed by the American script. Now further consider that the central character of the 1956 picture is not "Godzilla", but Raymond Burr as Reporter Steve Martin. Therefore you need to additionally subtract all of his screen time from the 81 minute running time, before determining in the remaining original Toho footage. How much screen time in the Americanized version of "Gojira" is actually "Godzilla's". During the year after the release of "Godzilla, King of the Monsters" in the United States. It would be on May 29, 1957 that the Japanese public would first see the Americanized version of the Toho production. As of note is that Toho Studios now owns all rights to the film. 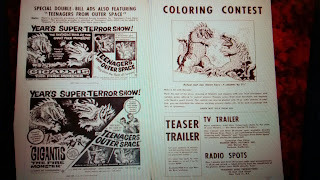 Now this may be hard for those not living in 1956 to comprehend, but after its initial release "Godzilla, King of the Monsters" just disappeared from people's minds and was replaced between April 1956 and May 1959 with some 80 other science fiction films and about 50 horror movies not including the normal output of motion picture musicials, westerns, bibical and dramatic films.As for those other science fiction and horror films some are specifically related to this post and came from Toho Studios. The year following "Godzilla, King of the Monsters" saw the release of a film that the television commercials never gave you the impression it was from Japan entitled: "Rodan, the Flying Monster". Actully this was "Sora no Daikiju Radon (Radon, Giant Monster of the Sky)" released in Japan December 26, 1956 and in the United States on August 6, 1957. I saw the film the weekend it came out and noticed it was from a Japanese company called Toho. There was never such indication with "Godzilla, King of the Monsters" during its original release. "Rodan, the Flying Monster" had been Americanized by the King Brothers who released it. Here's only a few of the changes the Brothers made to the original Toho production: Extensive narration by Shigeru was added throughout the film to avoid actual dubbing of the Japanese actors scenes.The entire explanation of the Meganulon's was removed. 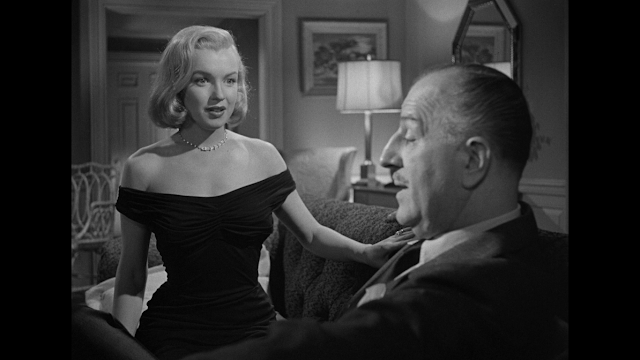 The following scenes were shortened:the attack of the Meganulon on the village, the scene leading up to the police officer and miners being killed in the shaft, the scene where Professor Kashiwagi analyzes the photos taken by the honeymooners and also the attack on them was cleaned up. Another major sequence removed was the entire backstory of Kiyo's brother Goro. Those scenes explained not only why he was thought the killer of the other miners, but also clarrifies the relationship between Kiyo and Shigeru. The King Brothers replaced it with the more important opening Atomic Bomb test scene. Again reminding viewers of the Cold War scare of Russian Atomic War. When it comes to original language films BEWARE OF SUBTITLES. Classic Media released the original Toho film "Radon,Giant Monster of the Sky". The problem is that their subtitles for the film have Shigeru discussing "Global Warming" with a co-worker. Since when was this a topic in 1956 Japan? The next film to be released by Toho Studios in the United States was also in 1957 "The Mysterians" and was keeping to Tanaka and Toho's plans of basically making Science Fiction and Horror films rather than Kaiju. Although Toho Studios made some great films in other styles that year. Such as Toshiro Mifune in Akira Kurosawa's feudal Japanese version of "MacBeth" "Throne of Blood" and another classic Kurosawa and Mifune piece "The Lower Depths". "The Mysterians" was actually "Chikyu Boeigun (Earth Defence Force) and the first installment in a trilogy. There was not much running time difference between the original Japanese version at 88 minutes and the English Language at 85 minutes. In that year of 1957 my peers and I discovered two International film companies we liked for discussion and viewing. One was Toho Studios from Japan and the other with the release of a double bill consisting of "The Curse of Frankenstein" and "X-the Unknown" was "The House of Hammer" from the U.K. Two days before my 12 birthday on October 14, 1958 "Daikaiju Baran (Giant Monster Varan)" was released in Japan. The original Japanese film ran 86 minutes. When Crown International released the U.S. version of the film four years later in 1962 the Americanization would only run 70 minutes. The only scenes left from the original Toho production by Crown International were a few special effects ones and the ending. The American version was virually a new movie with American actors and a completely different story. For the attack on Tokyo in the Americanized version you didn't need to look to closely to discover the shots were only missing the 1954 "Gojira" in the frames. The original Japanese version would also be re-edited for Japanese television later on. On June 24, 1958 the film "Bijo to Ekitainingen (Beauty and the Liquid Men) opened in Japan. The films running time was 87 minutes. This film in its Americanization format opened on May 28, 1959 one week after a critical film relating to "Gojira" opened in the United States. I will discuss that motion picture shortly. The English language version of "Beauty and the Liquid Men" ran 79 minutes and Columbia Pictures renamed it "The H-Man". The movie revolves around a "Lucky Dragon #5" style incident and what happens to the crew of the Ryujin Maru II. Columbia removed some of the romance and gangster portions of the original movie attempting to make it seem a straight horror story.The original version is much more enjoyable. In October of 1957 Columbia Pictures television subsidiary Screen Gems put together a package of horror films made by both Columbia Pictures and Universal Studios.The package was called "Shock Theater". As a result of the ratings a renewed interested in Science Fiction and Horror movies filtered down to local television stations. One of the general movie packages making the syndication rounds was "The Million Dollar Movie" which contained motion pictures of all genres, but was soon getting the likes of "The Thing from Another World","THEM!" and "The Beast from 20,000 Fathoms". The gimmick for the package at KHJ-TV Channel 9 in the Los Angeles market was to run the same film in the same time spot, 7:30PM to 9 PM Monday through Friday. A person could watch the film for five days straight. One of the films this package eventually showed was the 1956 "Godzilla, King of the Monsters". Movie goers such as myself rediscovered Raymond Burr as Steve Martin observing the attacks made by a 164 foot tall radioactive dinosaur. The real significance of this was not to show itself until May 21, 1959. On that day I got on my bicycle and rode approximately 10 miles to the Reseda Theater. I was about to join other 12 year olds, pre-teens and teens in watching a movie that had perked our interest. For over a week we had been seeing television ads for a double bill from Warner Brothers. 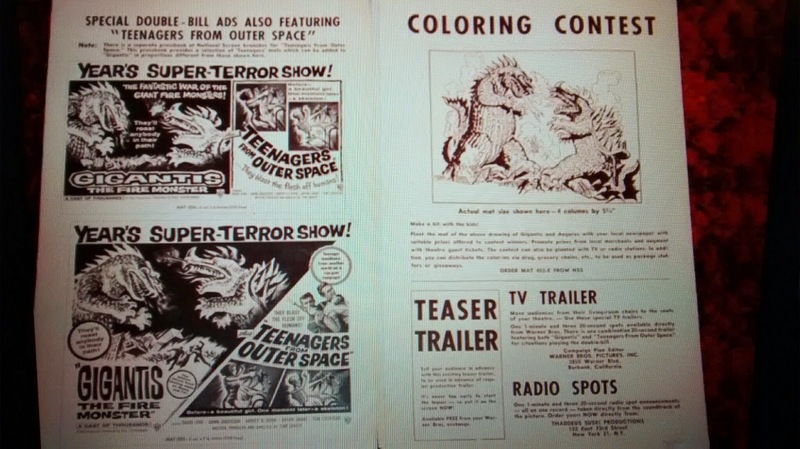 One film was entitled "Teenagers from Outer Space" and fit right in with others at the time like "I Was a Teenage Werewolf", "Teenage Caveman" and "Teenage Monster". However, it was the other film we all had come to see and was discussion in line awaiting the theater's box office to open. The title was "Gigantis, the Fire Monster" and there was something vaguely familar to its look. So what was the story behind the film? Back in 1957 Producers Henry Rybnick and Edward Barrison wanted to obtain the 1955 sequel to "Gojira" from Toho Studios. They actually planned on doing to it what Crown International would do to "Daikaiju Baran" and gut all of director Motoyoshi Oda's and Eiji Tsuburaya's work. All the scenes with Japanese actors would be removed and the scale of Gojira and Angurius changed to that of normal size dinosaurs. The tentative title for this film was "The Volcano Monsters" and it was to be released by Warner Brothers Pictures. However, the project fell through and the two producers never obtained the film. I've mentioned the highly successful "Shock Theater". A group of business men decided to put together a package of their own hopefully to complete with the syndicated hit. They decided bascially to get low budget foreign films and dub them into English and edit their lengths to allow commercial running times. As with Rybnick and Barrison they thought of a film called "Counterstrike of Godzilla" from Toho Studios. When the purchased film arrived it had a new English name "Godzilla Raids Again". Unfortunately as with the previous endavor this also fell through. Note that the title ordered was slightly different than the earlier "Counterattack of Godzilla". I can only surmise that different translators came up with slightly different meanings to the word "Gyakushu". However, in their case these business men where able to recop their outlay, because Warner Brother Studios now wanted into the lucrative Teen film market American International Pictures had cornered. "The Volcano Monsters" resurfaced and writer Ib Melchior had been hired to rewrite the failed script. His version with American actors and stop motion dinosaurs was still too expensive, but Executives at Warner Brothers herd about the Toho film. After paying off the previous owners Ib Melchior was now informed to rewite his rewrite to use as much of the Japanese film as possible. The end result was not called "The Volcano Monsters". but "Gigantis, the Fire Monster". It seemed nobody even Warner's publicity department saw the promotional opportunity of making the American version of the sequel to Godzilla at the time. 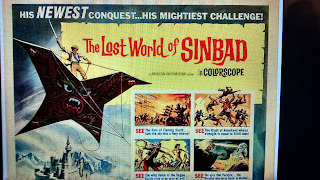 A few of the changes to the original film in this new Americanized version included the addition of a prologue with that good old Atomic Bomb and scenes with mechanical dinosaurs. Most of Masaru Sato's score was replaced by music from two other Science Fiction films "Kronos" and "Project Moonbase". The touching Kobayashi became a bumbling oaf instead of the tragic hero he was and the subplot about his quest to find a wife through traditional Japanese matchmaking was cut out. One cannot forget, or forgive Ib Melchior for adding the line "Banana Oil" as the English equvalent to the Japanese word "bakayarou" which loosely translates to "idiot". So back to Lloyd and his peers across the country. It seemed to all of us that "Gigantis, the Fire Monster" might be the sequel to 1956's "Godzilla, King of the Monsters". Remember unless you had seen the 1954 "Gojira" in an Asian movie house like Edmund Goldman had originally. No movie goer in the United States knew about the movie. Like thousands of others I wrote a letter asking "Famous Monsters of Filmland", if the film I had just seen was a sequel to the Raymond Burr motion picture that had recently played on television? Others wrote letters to Critics and newspapers. Then like everyone else I forgot about it and the following week was back at the Reseda seeing "The H-Man". Later in 1959 "Famous Monsters of Filmland" ran an artice revealing "Gojira", explaining what "Godzilla, King of the Monsters" really was and mentioning the real story for the 1955 Japanese sequel. It was around my birthday in October that I was visiting my father, my parents were divorced, and took the Blue Santa Monica Transit Bus to the Nuart Theater on Santa Monica Boulevard to see a double bill consisting of the 1954 "Gojira" and with the original title still on the print "Gojira No Gyakushu" in Japanese with subtitles. The article by 4-E Ackerman had stated they had contacted Toho and their was no plans to revive the character of "Gojira" by the studio. Little did any of us know what the future held. Shortly after I saw that fantastic double bill on December 26, 1959 in Japan Toho released "Uchu Daisenson(The Great Space War). The motion picture was a sequel of sorts to "Earth Defence Force". On July 8, 1960 the movie opened in the English language version as "Battle in Outer Space". Both versions of the film ran 90 minutes and the only changes came with the dialogue. 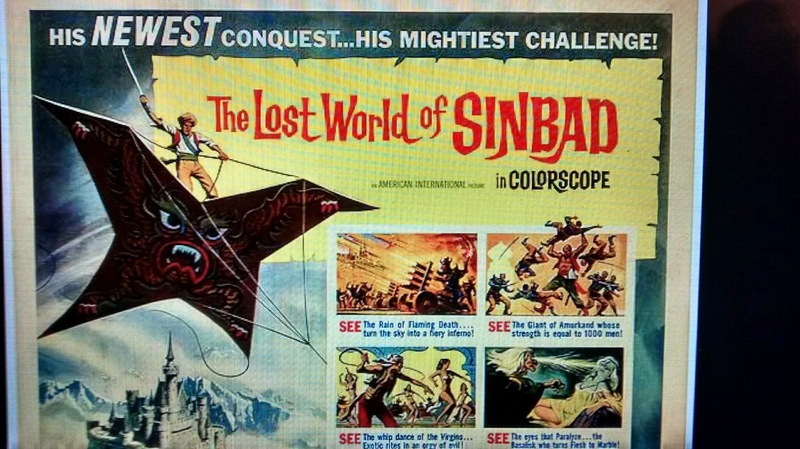 The Columbia Pictures release removed all references to this being a sequel of sorts to the "The Mysterians" that also contained some of the same characters. Also in 1960 Toho released in Japan "Gasu Ningen dai Ichigo (Gas Human No. 1) on December 11, 1960. This film wouid not reach the United States until May 20, 1964 as "The Human Vapor". The original Toho film ran 92 minutes while the Americanized version was 11 minutes shorter. Of interest is that the American version was re-edited moving scenes around and creating a narrative for the main character that was not present in the original Toho production. Yoshiro Tsuchiya who played the "Gas Human" oftened stated that to him the American cut was the better film. Toho studios planned a sequel to this movie tentatively called "Furankenshutai Tai Gasu Ningen(Frankenstein vs the Human Vapor)". Apparently he survived the films ending and seeks out Dr. Frankenstein in the hopes of bringing his girlfriend who did not survive the films ending back to lifE. This project never materialized. As I've mentioned Toho studios was producing other movies at this time in a variety of genres. The team of Tomoyuki Tanaka, Eiji Tsuburaya and Teruyoshi Nakano took off from making Science Fiction and Horror films to make an excellent World War 2 film. It is told from the point of view of one of the pilots on the aircraft carrier Hiryu at Pearl Harbor and Midway. "Hawaii Middouei daikikusen:Taiheiyo no arrashi(Hawaii-Midway Battle of the Sea and Sky: Storm in the Pacific Ocean) was directed by Shuei Matsubayahsi and starred Toshiro Mifune. The original Japanese film ran 118 minutes and was released on April 26, 1960. When I saw it the film was now called provocatively "I Bombed Pealr Harbor" and only ran 98 minutes in 1961. The power of Tsuburaya's minitures for the battle of Midway where reused by Walter Mirisch in his 1976 film "Midway" starring Charlton Heston. On July 30, 1961 Toho released a film in Japan that would play a part in the return of "Gojira", but at the time no one at Toho was contemplating such a return. The film was "Mosura" and ran 101 minutes. The movie would be Americanized by Columbia Pictures as "Mothra" and the 90 minute version would be released in the United States on May 10,1962 as part of a double bill with "The Three Stooges in Orbit". Eleven minutes doesn't seem like a lot of time, but the impact of the cuts made by Columbia would remain with all Americanized versions of the character through the Millennium Era and adopted by Toho International for all non-Asian Countries. One of the main changes came over the religious significance of Mosura to the Infant Islanders. Also deleted were the subtitled translations and meanings of the symbols found on the island which also had religious significance. Actually all put one of them was removed by Columbia Pictures. The one remaining symbol was used to call Mosura to the airport at the end of both "Mosura" and "Mothra" and in "SOS Gojira tai Mosura tai Mekagojira Tokyo O Esu O Esu(Godzilla x Mothra x Mechagodzilla: Tokyo SOS)" It has no explanation in "Mothra", but is found on a church steeple in "Mosura". Along with a scene of two priests when Clark Nelson is shot at the end, but neither was in "Mothra". On the other hand a couple of seconds of film was inserted of the Hollywood and Harbor Freeways by Columbia when the story is in New Kirk City. Probably Columbia thought it would make the viewer think this was in the United States. Lastly, the Twin Shojibin who are not fairies in "Mosura", but her Priestesses. In "Mothra" they are never called Shojibin and made to seem to be real fairies. During the Hesei and Millennium Eras the Japanese language track would still refer to them as Shojibin, but they became the Cosmos in English. Do not confuse the Sojibin and Cosmos with the complete character rewrite in "The Rebirth of Mothra" series. I would point out that in the novel that "Mosura" was based upon the Shojibin were called Airenas and there is a whole village of them. In "Rebirth" their name would become the Elias. On August 10, 1961 with several members of the cast from "Mosura". Toho released in Japan "Sekai Daiseno(The Great War). It would not be released in the United States until January 8, 1967 as "The Last War". The originl Japanese film had a running time of 110 minutes while the Americanized version ran only 79 minutes. I searched, but could not find out what the 31 minute cut consisted of. Events were now in motion that would bring Gojira back from the grave. 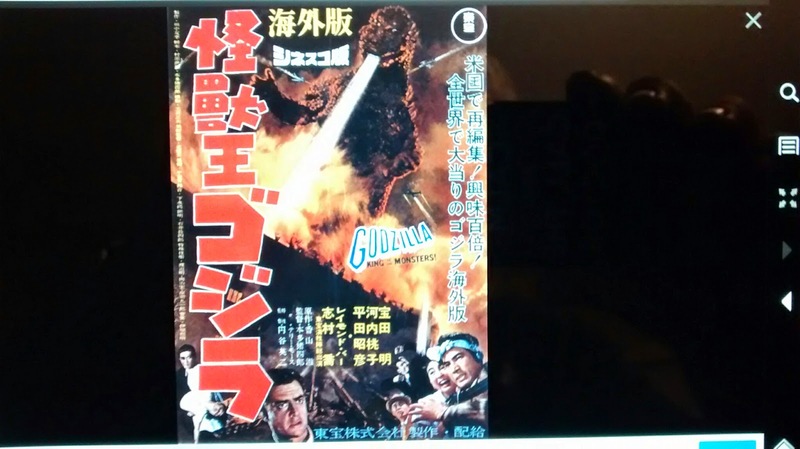 From countries around the globe it appeared that people were really enjoying "Gigantis, the Fire Monster" and also speculating, as we had done in the United States, about its relationship not to the 1954 unknown "Gojira", but to the film staring Raymond Burr from a few short years before. Although in countries like the UK copies of "Famous Monster of Filmland" magazine were circulating with the true backstory. Also unlike the United States even "Godzilla, King of the Monsters" was playing in one form or another still. It wasn't long before Toho Studio's heard about all the interest the Warner Brothers film was creating and a meeting was held that would lead to a decision to bring the Kaiju back in a big budgeted film in color and Tohoscope, but what should the film be about? On the otherside of the Pacific an event was happening that would answer that question. Stop Motion Animator Willis O'Brien who had brought the 1933 "King Kong" to life had written a script entitled "King Kong vs Frankenstein". He was looking for a producer to make another stop motion film with him. After many months of searching he met with John Beck who had a production office on the Universal Studios lot and presented his script to him. The wheels began to turn. According to Ray Harryhausen in his work "A Century of Stop Motion Animation". Willis O'Brien re-envisioned Kong as a much larger and stronger creature not living on Skull Island, but in Africa as the protector of the Ape population. This King Kong was not the one from 1933 and was never entended to be even though the name immediately made readers of the script and potential viewers of a film think of Fay Wray's boyfriend. In the new script Dr. Frankenstein comes to Africa and starts experiments on Gorillas and other smaller apes. Frankenstein creates a giant gorilla like creature that comes to life after being exposed to electricity. Eventually King Kong and the Frankenstein creation meet. O"Brien presented a full treatment and sketches to John Beck. Working with producer John Beck and believing he would be animating his script. Willis O'Brien let Beck have screenwriter George Worthing Yates rewrite the treatment into a more presentable script and the result was retitled "King Kong vs the Modern Prometheus".I could never understand why Yates changed the name "Frankenstein" into the subtitle name from Mary Shelley's novel. As those unfamilar with the actual work would not recognize its connection. Even in the rewritten script both the cost and length of time to stop motion animate the film was too much for Beck and he looked for other options without consulting O'Brien. At Toho based upon the box office for "Mosura" and the fact that the novel "The Luminious Fairies and Mothra" was still available and selling. The executives at the Studio were thinking of teaming her with Gojira for his comeback. After the movie "Mothra" opened to such success the idea seemed even better. So the screenplay writing duties were turned over to Shinichi Sekizawa, but before he could really get started enter John Beck. Beck had heard about Toho's plans and thought he saw a solution to his problem. After speaking to Toho an agreement between the two led to Toho purchasing the George Worthington Yates script and giving the studio a solid Worldwide known opponent for Gojira's ressurection. Beck was given the rights to the film for non-Japan/Asian audiences. However, Willis O'Brien had never been consulted and this resulted in the first lawsuit against both Beck and Toho over the use of King Kong. O'Brien would die on November 8, 1962 wihout ever seeing the film and his Estate would continue the suit. Also joining O'Brien's Estate was the Estate of Merian C. Cooper. The original battle lines had been drawn over who owned the character of King Kong. At this point lets speak of the business situation in Japan. There was another war of sorts going on between the traditionalists and those starting to go with the American Business Model. Tomoyuki Tanaka saw a way to poke fun at all of this and make a comical parody using both King Kong and Gojira. John Beck back in North Hollywood at Universal Studio's had no idea of Toho's plans and was envisioning another monster brawl film like 1955. In Japan prior to the films release on August 11, 1962. Toho arranged for both Gojira and Kingu Kongu to be interviewed on the nation's number one Sports program. They were being presented as the Japanese Sumo Wrestling Champion and his American challenger. In fact every battle scene between the two in the original film was set up like Sumo Wrestling matches and easily recognized by the Japanese audiences. The company Pacific Pharmaceuticals was used as the target of Tanaka and Sekizawa's attack on the American Business Model and this was highlighted first in the idea that the company wants a monster of their own and then the scenes with the Faro Islanders about the transistor radio and the cigarettes. 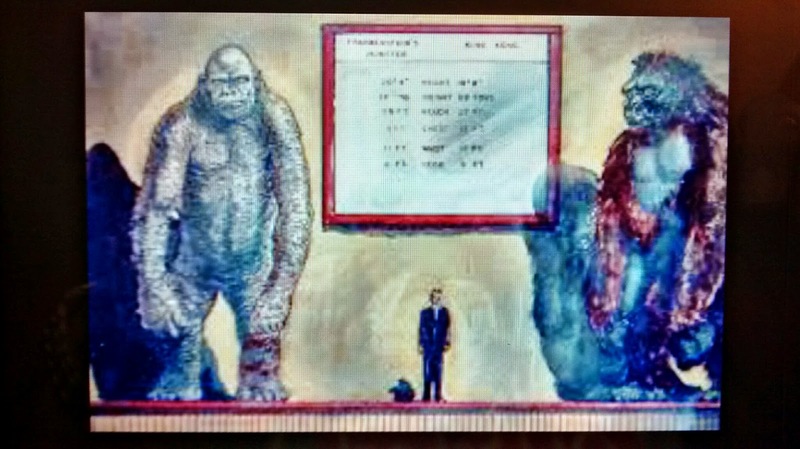 Along with a large business party scene with the head of the company attemppting to act American just added to the parody that the Japanese and Asian audiences got, but John Beck didn't.It should be recognized by my reader that the 1976 "King Kong" reworked Toho's script idea with the Petrox Oil Company. John Beck received his copy of the film and was faced with the question: How does one turn what was essentially a Japanese comedy using Godzilla and King Kong into a typical American monster movie? One of the things Beck did was the Steve Martin reporter concept. He created a narrator who is an International Correspondant that talks to Tokyo by satellite and interviews a paleontologist in the studio. The paleontologist uses a childrens dinosaur book popular at the time to explain Godzilla and the satellite was actually the mother ship of "The Mysterians", if you look closely at those scenes their flying saucers are visable. Beck also thought the ending was not exciting enough and added a sequence from "The Mysterians" of a village being destroyed by an Earthquake attempting to make the audience believe it was caused by the climatic fight between King Kong and Godzilla. Another problem Beck faced was how to turn the obvious Sumo style fighting scenes into what he considered a true monster fight. Look closely and at times these short scenes appear to be missing something. Compare them with the Toho film and you will know why. Once sequence John Beck could not really get around was the arrival of the two representatives from Pacific Pharmaceutical on Faro Island and the transistor radio and cigarette scene. It really sticks out as a comic spot in what is attempting to be a serious film. On June 3, 1963 the John Beck English language version of the film was released to theaters by Universal Studios. I remember a review in the Los Angeles Times that talked about both versions of the story. It also mentioned that the Japanese film was playing at the Toho LaBrea,owned by the company, and I decided to see both. I went on the following Saturday afternoon to see the English version and my father took me that night to see Toho's. People always ask about that ambivalent ending. In truth, at the time, Toho planned a sequel, but by the time the film was released they knew of Willis O'Brien's lawsuit and that stopped the sequel. Actually Toho considered another film "Furankenshutai Tai Gojira(Frankenstein vs Godzilla), but they dropped it for the present time also. March 21, 1962 prior to the Japanese release of "Kingu Kongu Tai Gojira" Toho studios released another of their science fiction films "Yorsei Gorasu(Calamity Star Gorath). The movie would not be released in the United States until 1964 as "Gorath". The original running time was 89 minutes, but the U.S. release had a sequence with a Walrus like creature removed as being to comical looking and the film's length became 81 minutes. That sequence has never been restored. 1963 had the American release of "King Kong vs Godzilla", but in Japan Toho would make three classic films none of which would be released in this country until 1965. On August 11, 1963 was "Matango(Attack of the Mushroom People, Curse of the Mushroom and Fungus of Terror) told of a group of people who land on an island and evenually become mushrooms like other castaways over the years. I could only find that it went to U.S. TV in 1965,but I saw it in the theaters. On October 26, 1963 Toho released Toshiro Mifune, Mia Hama and Kumi Mizuno in "Daitoizoku(Samurai Pirate, Magnificent Pirate and The Lost World of Sinbad).It opened in the United States on March 3, 1965. The third film was released on December 22, 1963 "Kaitei Gunkan(Undersea Warship). It would be released in the United States as "Atragon" on March 17, 1965. In the original film there is no Atragon, but the Undersea Warship is called the Gotengo. The same name used in "Gojira Fainaru Wozu(Godzilla: Final Wars)". The original version runs 96 minutes while the Americanized runs 88 minutes and has several scenes relating to why the Commander of the Gotengo wants war and conquest for Japan once more. So Gojira, or Godzilla take your pick has returned. I am not going to look at every Showa film, but there are two I want to comment about as they come under this topic. There are two non-Gojira films that have a special interest here and I will also comment upon them, before moving out of this Era to one sppecific Hesei entry and two specific Millennium films. Then of course the two American Godzilla films and the story beind 1998. On Apri 29,1964 "Mosura Tai Gojira(Mothra Against Godzilla) appeared in Japan. I meantioned earlier the confusion over the translation of the word "Gyakushu" as either "Counterattack", or "Counterstrike". Note that the English translation of the Japanese word "Tai" in this case became "Against" while at other times it becomes "VS". Perhaps it had to do with that title James H. Nicholson came up with "Godzilla vs the Thing"? The fun part here besides the title is that AIP never saw the original movie, before they promoted it under the new title. Nicholson did the normal AIP "thing" with this film. He had somebody come up with a catchy name, had somebody design the poster and work on the promotional campaign and he went across the country to book the picture. The story came out with the films release that nobody at AIP had any idea that "Mosura" was a giant female moth, or apparently had ever seen the Columbia film "Mothra". Critics across the country commented had AIP researched the film and promoted the return of Mothra they would have had an even bigger hit on their part. I remember going to the theater and when I saw the lobby cards with Mothra fighting Godzilla the game was up, but this was probably the best promotional gig for any Toho film before, or since. It was also laughable when the dubbed characters called Mothera "The Thing" and fellow audience members started calling out "NO DUMMY THAT'S MOTHRA". The second film I want to mention is "Kaiju Daisenso(Great Monster War) released in Japan on December 19,1965 at a running time of 96 minutes. When the film came out on July 29, 1970 in the United States it was called "Invasion of the Astro-Monster" and at various times "Monster Zero" and "Godzilla vs Monster Zero". The initial U.S. running time was listed as 92 minutes, but that would go as low as 60 minutes as the film was diced and sliced. Look carefully and you will see slight differences in all three named versions of the film and the running times shrink also. At one time there was a VHS Tape of "Monster Zero" from a company called "Good Times" that I had which ran 60 minutes. Of more important note to my readers is that the United States release credits Henry G. Saperstein as producer. Saperstein is part of an interesting change to the normal procedure of a Toho film becoming an American dubbed and edited one which concerns two classic Toho films which were not really Toho films all, but American from the start. This is there story. The English titles are "Frankenstein Conquerors the World" and "War of the Gargantuas". The Japaese titles are "Furankenshutai Tai Chitei Kaiju Baragon(Frankenstein versus the Subterranean Monster Baragon)" and "Furankenshutai no Kaiju Sanda tai Gaira(Frankenstein's Monsters: Sandra versus Gaira) respectfully. What makes these two films different from the others is tha Henry G. Saperstein head of UPA Productions brought the two English langauge scripts to Toho to make for his company. Saperstein originally wanted to make the films in the United States with Stop Motion Animation, but as others before him discovered the costs invovled along with the time was too expensive for his small company. So he approached Toho studios to do them in suitmation with an American cast. Toho suggested a mainly Japanese cast and at the time time making a Japanese version also. Thereby further cutting down the overhead as Toho woud also have a film to release. What also makes this unique compared to other productions is Toho modified the original scripts to fit a Japanese perspective. 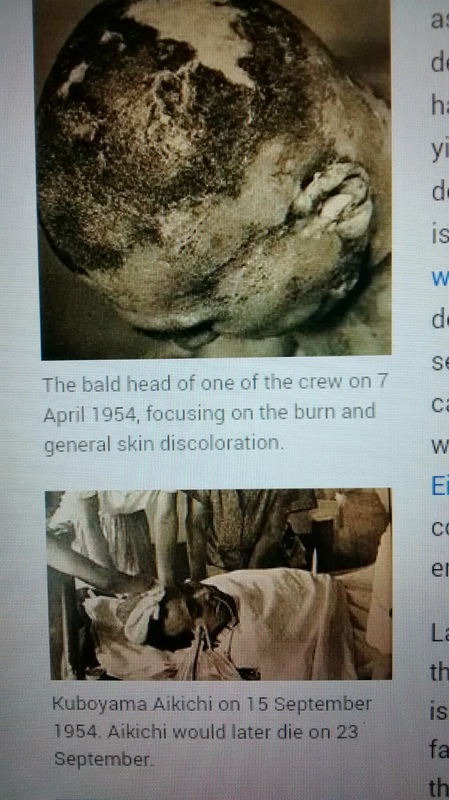 This is the real reason in say the first film you have scenes referencing Hiroshima in it. Also Nick Adams and Kumi Mizno would shoot a scene for Saperstein's production one day and on the same set with the Toho script shoot the same scene for them the following day. Of course the problem developed when Nick Adams left for America after completing his work on "Frankenstein Conquerors the World", returned to the United States, divorced his wife and returned to Japan planning to marry Mizuno to find her engaged to another man. He left and for the second film Russ Tamblyn replaced him and the two scripts rewritten to reflect the change in the characters. This story comes from Saperstein himself. I am not going to discuss anyother Showa films and want to move to the very first Hesei film "Gojira", 1984. There has been a lot of discussion over this film mentioning that Gojira attacked Tokyo 30 years before and how this can not be, because of what Kazumi Omori wrote in his 1991 script for "Gojira vs Kingu Gidorah(Godzilla vs King Ghidorah)". I am not going to argue those discrepancies here as they have nothing to do on the purpose of this post. I am going to tell you what acually took place in 1984. 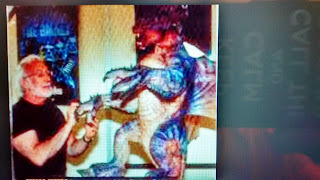 At the time both televiion stations in the entertainment news and newspapers such as the Los Angeles Times ran stories that Toho Studio's was making a new Godzilla film to celebrate the Kaiju's 30th Anniversary. On a local Japanese television station that I watched subtitled anime on in the original formats. They ran also a subtitled interview, which I saw twice, with Tomoyuki Tanaka. Tanaka stated this was to be a special film celebrating the 30th Anniversary of the creature he had created in 1954. Tanaka further stated, as had the article I had read, that there was NO PLAN FOR ANY FURTHER FILMS and this would be a NEW GODZILLA NOT ASSOCIATED WITH THE ORIGINAL and that the film was designed as a HOMAGE TO THE KAIJU THAT WE ALL LOVE. For those who would argue the changes in the series reflected in Omori's script I would remind them that it was written SEVEN YEARS after the film I am speaking about.Also that it was FIVE YEARS BEFORE a second Hesei film would be made. Plans do change over such a long period of time, but back to my post. Shortly after 1985 began I was about to obtain a subtitled copy of the film on VHS Tape from Toho. It is interesting not only for the idea that this Gojira on an alternative time line, obviously, from the Showa Era destroyed Tokyo in 1954, but that it then went into a 30 year hibernation in a volcano Mount Mihara. However, what was far thinking for the time was that in Shuichi Nagahara's script he had Professor Hayashida talking about Gojira being related to birds and not repitles in 1984. It would take Michael Crichton's novel "Jurassic Park" to get that theory out in the open. Another indication that this story was not have been Showa Era related with a Jurassic Age Dinosaur. On August 23, 1985 New World Pictures released "Godzilla 1985" and the disemilarities to the 1984 "Gojira" were all over the place starting with the attitude toward the Russians. In the Toho film the launch of the missile is a result of Gojira and the Commander of the Russian ship attempted to stop the launch. In the Americanized version with our continuing Cold War Battle with the Soviet Union the launch was deliberate. Then of course we had the return of Raymond Burr as not Steve Martin, but Steven Martin to avoid confusion with SNL comedian Steve Martin. The idea that New World thought the American people were that dumb that they would confuse Burr with the comedian makes one wonder about their overall thinking to this full length "Dr. Pepper" commerical with even military officers in the Pentagon War Room drinking the product placement. I know Roger Corman left New World before this motion picture went into production, but he was the one the hired Burr and negotiated for the American rights to "Gojira". In answer to the question: Why can't I find a DVD copy? It seems that Corman negotiated with Toho to lease the American rights to the film to save money rather than as everyother studio prior purchase them. So when the lease ran out New World elected not to renew it and "Godzilla 1985" is now owned by Toho who has no intention of releasing it again. As to the version of the two films there are four. You have "Gojira", 1984, in Japanese with English subtitles. You have the New World release of "Godzilla 1985". Then you have two Toho International releases. The first was in response to "Godzilla 1985" and from Toho's perspective to set the record straight. They released an English language dub of the original 1984 "Gojira" and this is where the title "The Return of Godzilla" came from and not the New World film. The second release was a modified version of "Godzilla 1985", which I have, where there are TWO SETS OF SUBTITLES when the Russian's speak. One are the original New World titles and the second set underneath are the subtitles from the original 1984 film for comparison. Believe me there is a difference and also in the Toho International release there is an extended scene in English in which the Japanese Prime Minister recieves an apology from the Russian Government over the missle launch. This makes an interesting film edition to any collection. Rather than continue wih the Hesei Era I am going to give my reader the history of the 1998 "Godzilla". To start with back in 1992 Columbia Tri-Star negotiated with Toho a four picture deal. There was to be the second attempt for an American "Godzilla" followed, hopefully, with three sequels. The original script was by Terry Rossio and Ted Elliot for a 1994 release and Jan de Bont would direct. The release date was changed to 1996. 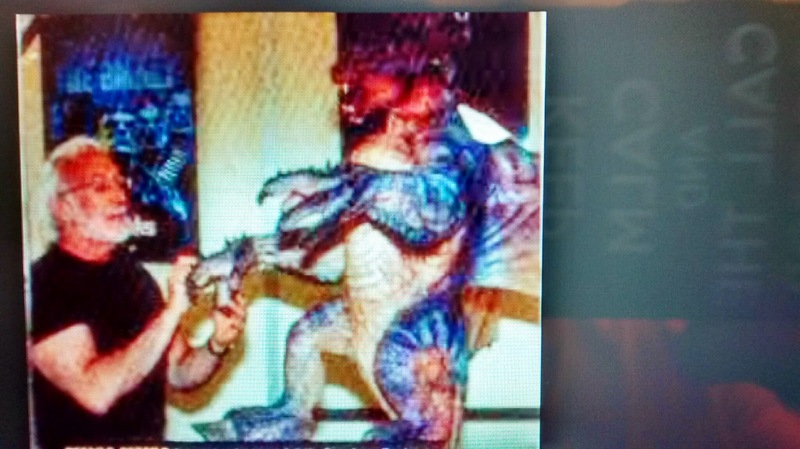 "Godzilla" would battle an opponent called the "Gryphon" created by Stan Winston and Winston would also create "Godzilla" I have attached shots of both of Winston's designs for "Godzilla" and "The Gryphon". However, Toho insisted at the time that any opponent of "Godzilla" be one of their own Kaiju. This caused problems with the those involved with the production and eventually it was dropped, because Tri-Star didn't want to go with de Bont's budget of $100 to 120 million dollars. The budget on the 1998 film was $130 million. Tri-Star attempted to bring back the idea of an American "Godzilla" and it was finally agreed upon that Roland Emmerich and Dean Devlin would make it. It was also thought, by Toho, that the project would be as originally agreed upon and not what resulted. Some imply that Toho knew what was going on and could have stopped it. At the time Toho was having financial difficulties and it is probable they lost sight of what was happening in the States.I can not honestly say though. Two last points the idea of an American "Godzilla" goes back to the 1980's. When it was thought that a 3-D version might be made but it never panned out. Point two is the 1998 was financially successful grossing $379,014,294. I am sure my readers are well aware of the lawsuit Toho filed over the use of the name "Godzilla" on the final film and the award to the studio that the name be changed to "Zilla". Realistically an impossibility so the victory was more of a symbolic one than a practical victory. Toho then went one step further and brought back "Gojira" for the Millenium. "Gojira Nisen: Mireniamu(Godzilla: Millenium) was released December 11, 1995 in Japan andin the United States as "Godzilla 2000" on August 18, 2000. Through 2004 Japan experienced the Millenium Era and "Gojira" was very successful, The film "Gojira, Mosura,Kingu Gidora: Daikaiu Sokogeki(Godzilla, Mothra, King Ghidorah: Giant Monsters All Out Attack) commonly refered to as "GMK" was the most profitable film of that Era. Its budget in U.S. dollars was $9,400,000, but it made $20 million dollars at the Japanese only box office. Many Westerners have problems with this specific film, but as I have argued on different Facebook Pages the film should never have been released outside of Asia as its story is based solidly there and not understood by those who are not familar with the culture. "The KIng of the Monsters" went into semi-retirement after 2004, but once more in the United States another attempt to create an American version of this Japanese Icon took place. Legendary pictures released "Godzilla" on May 16, 2014, directed by Gareth Edwards to mix reactions even in the United States and especially in Japan. Where some fans of "Gojira" see him as strictly Japanese. I would point out that the reverse might be said about "Kingu Kongu". 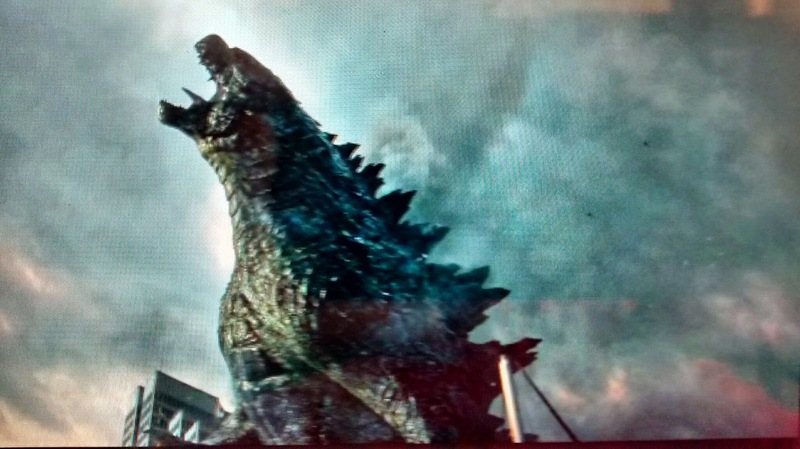 Before the end of 2014 in response to the American "Godzilla" Toho had announced plans of making and releasing a new "Gojira" film of their own in 2016. Discussing this announcement on my "Godzilla, King of the Monsters" Facebook Page and noting it on others. We seem to have people saying that there is no problem with two Godzilla's one from Toho and one from Legendary. They seem to be making the point that they could be on two different time lines, or that one is Japanese and one is American so there is no problem. ONE IS JAPANESE---ONE IS AMERICAN AND THERE IS NO PROBLEM? It would seem that these younger fans have accepted the Legendary film version as their own and the AMERICANZIATION OF THE JAPANESE ICON. Reminding this old man of a 1950's televison show called "To Tell the Truth" where panelists questioned a group of four people and decided which one isn't lying and is the real whomever.Then the moderator askes the real person to stand up. SO WILL THE REAL GOJIRA/GODZILLA PLEASE STAND UP?